She will take over from Nigel Gibbens who is stepping down at the end of February 2018 following a highly successful 10 years in the post. Christine will join Defra from her current high profile position in Australia, where she has been working as the CVO in New South Wales since August 2016. During her time there she led major improvements to biosecurity across many farming sectors. She comes from a farming family in the south of Scotland, with a background in beef cattle and sheep. Christine will be returning to Defra where she was Deputy Director for Animal Traceability and Public Health in 2016. She is an experienced veterinarian and worked for a number of years in private practice in Scotland and the north of England, prior to joining the Animal Health agency (now part of the Animal and Plant Health Agency) in 2008 as a Divisional Veterinary Manager in Scotland. The Government has recently made a number of announcements on improving animal welfare and is committed to further reforms as we leave the EU. "I am delighted to have been appointed and it will be a privilege to lead my veterinary colleagues to support our farming and food industry in this hugely important role. 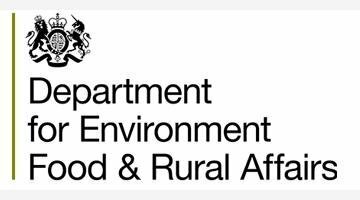 "I am very much looking forward to working again with the team at Defra, its agencies, the devolved administrations and all the individuals and groups which will contribute to meet future challenges across animal health and welfare. "The UK Government has made no secret it wants to cement its place as a world-leader on animal welfare as they leave the European Union, and I'm delighted to have an opportunity to play a part in that." "I would like to congratulate Christine on her success against a strong field of candidates and I am certain she will be a great addition to the department. "Her breadth of experience from work within Government and in the private sector will enable her to provide excellent veterinary leadership to the Defra group to deliver government's ongoing commitment to maintaining our high animal health and welfare standards and to represent the interests of the whole of the UK internationally." "I warmly welcome Christine to her important role. She brings to it a wealth of experience and enthusiasm. "This Government is embarking on an ambitious programme of animal welfare reform, including plans to increase the maximum sentence for animal cruelty to five years in prison and introducing mandatory CCTV in all abattoirs. Christine will be invaluable in helping us in achieving world leading standards. "I thank Nigel Gibbens for his outstanding contribution as CVO over the past ten years. Leaving the department at the end of February, he is hugely respected across the veterinary community and beyond – leading on responses to disease outbreaks including avian influenza and advising government on issues from antimicrobial resistance to animal welfare." Christine will take up her new role as CVO for the UK on the 1 March 2018.